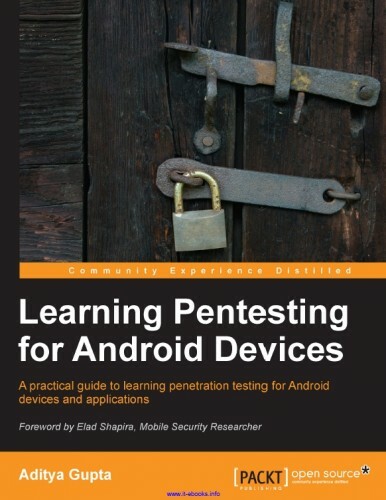 Learning Pentesting for Android is a practical and hands-on guide to take you from the very basic level of Android Security gradually to pentesting and auditing Android. It is a step-by-step guide, covering a variety of techniques and methodologies that you can learn and use in order to perform real life penetration testing on Android devices and applications. The book starts with the basics of Android Security and the permission model, which we will bypass using a custom application, written by us. Thereafter we will move to the internals of Android applications from a security point of view, and will reverse and audit them to find the security weaknesses using manual analysis as well as using automated tools. We will then move to a dynamic analysis of Android applications, where we will learn how to capture and analyze network traffic on Android devices and extract sensitive information and files from a packet capture from an Android device. We will look into SQLite databases, and learn to find and exploit the injection vulnerabilities. Also, we will look into root exploits, and how to exploit devices to get full access along with a reverse connect shell. Finally, we will learn how to write a penetration testing report for an Android application auditing project.